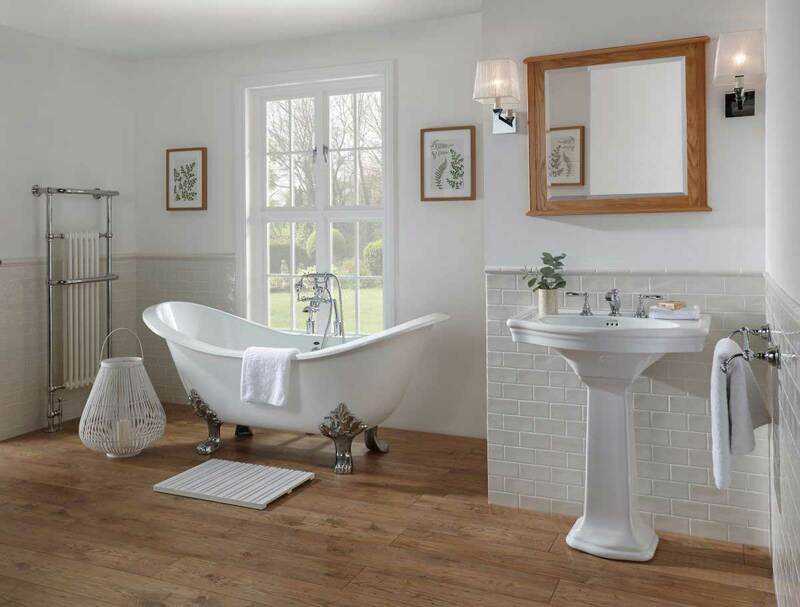 When redecorating our homes, many of us dream about extending our small bathrooms so that we can create that ‘luxury-hotel’ feel, complete with a bath, shower, multiple sinks and perhaps even a stylish chaise to lounge on after a relaxing bath. Though the reality is dependent on your budget, you can still make your small bathroom appear larger with the following design ideas. 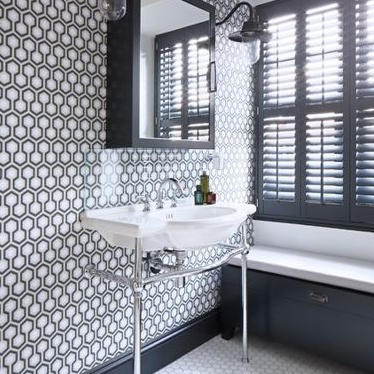 It’s likely your bathroom already features white fixtures such as the toilet, sink and bath, so using white for other surfaces such as the walls and floor helps to create a continuous look. White is also a great light reflector, bouncing light around the room, therefore making it appear airy, brighter and bigger. 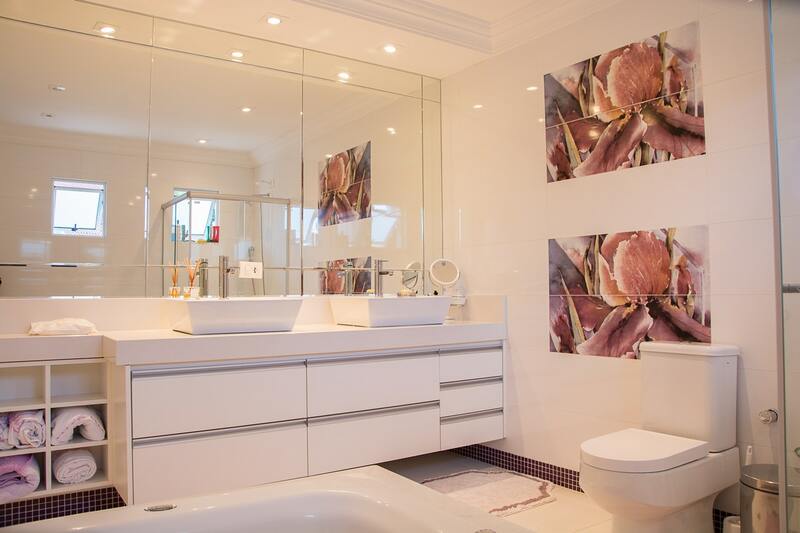 If you’re not a fan of a completely white bathroom, then a wall to wall mirror is another way to go. 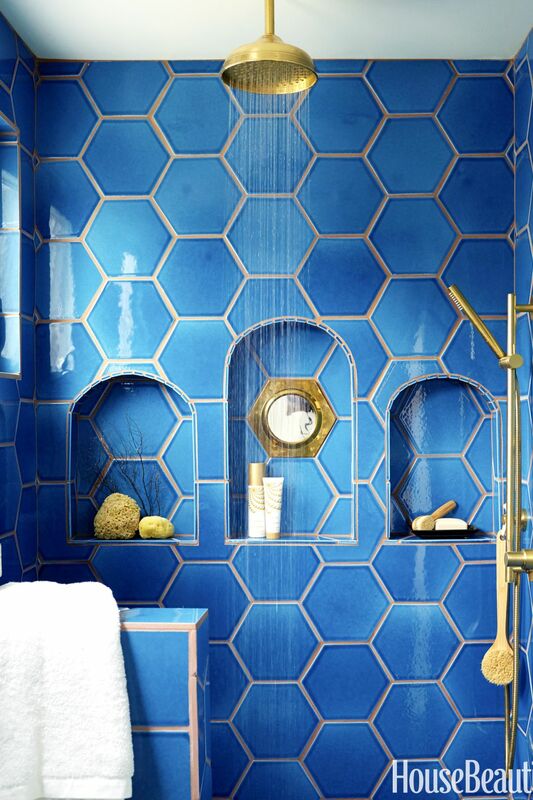 Along with enhancing your small bathroom’s beauty due to the multiple designs available, and hiding imperfections such as small cracks and holes, they are also considerably easier to clean and maintain than a painted or tiled wall. This statement piece creates the illusion of space by reflecting the room within. What about wallpaper we hear you ask. Wallpaper with bold patterns and conversational designs are always a great idea, as they catch the eye, increasing our space perception. If you opt for wallpaper, ensure it’s made specifically for bathrooms, ensuring it’ll survive both damp, warm conditions. If there’s not space for a bulky cabinet for all of your essentials such as medicines, makeup, razers, toothbrushes and toothpaste, then a stylish wooden, metal or glass shelf above the sink keeps these items in a handy place while utilising wall space effectively. For shampoos, shower gels, soaps and sponges, wall alcoves by the bath are a great alternative to shower caddies and add real value to the small bathroom. If you’re really stuck for space, install your towel rack to the back of your bathroom door to keep your walls and radiator free. These ideas may sound simple, but they really do the trick. 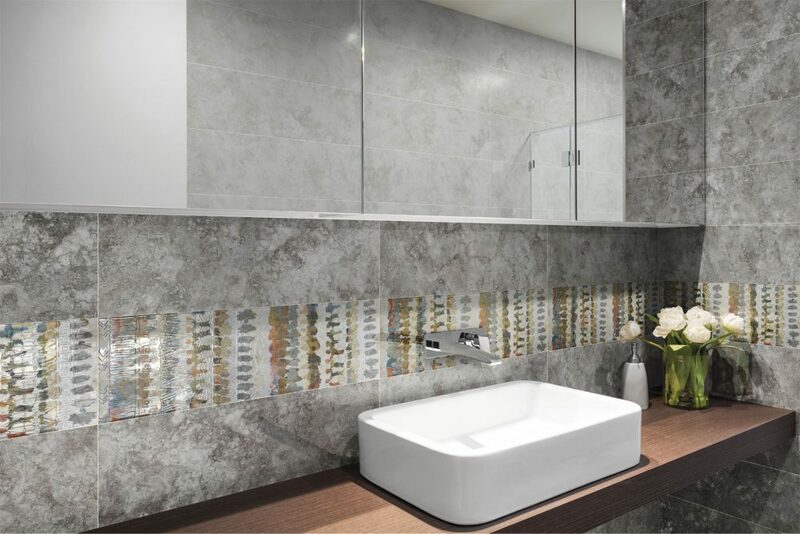 We recommend you check out our stunning range of white ceramic, porcelain and patterned tiles, as well as HiB’s bathroom mirrors, especially their chic illuminated options. For further inspiration, visit us at one of our showrooms in Bury or Rochdale or call us today to discuss your options. We’re only too happy to help.